The Dutch version of Santa Claus has made his appearance. Pepernoten, kruidnoten and speculaas are available in abundance in the stores. What you need to spice up your love life in holiday season, that is with Sinterklaas, is one of these Dutch cookies. Love isn’t guaranteed, but it’s certainly worth a try, don’t you think? Let’s find out what the idea is behind this combination. It is a lot of fun to find out what the English term is for pepernoten or kruidnoten. Peppernut cookies, tiny Dutch spice biscuits, gingerbread, lebkuchen look-a-like or little Dutch spiced cookies, it doesn’t matter how you call them, they sure taste good. Now apparently the Dutch get a bit offended when you call pepernoten pepernoten when they’re actually kruidnoten. The difference between pepernoten and kruidnoten is – roll of drums please- : the shape and the ingredients. According to Fred Voskuijl, conservator in the bakery museum in Hattem, a pepernoot tastes more like aniseed and is usually differs in shape from other pepernoten. Traditionally it is made by hand. A kruidnoot is the more popular Sinterklaas treat. You could call it the mini version of speculaas. A hard, crispy cookie that has a round, more uniform shape. Now is a kruidnoot also more spicey than a pepernoot? In the 17th century, when the Dutch East Indian Company brought all kind of spices to the Netherlands, most of these spices were referred to as ‘pepper’. The company would also ship different kinds of nuts to the Low Countries and when the pepernoot was created, the first thing the people saw in it was a nut. The kruidnoot is a more modern cookie, invented a few decades ago. Although there is a difference between kruidnoten and pepernoten most Dutch locals use the term pepernoten for both. Besides the more standard version you also find the Dutch mini spiced cookies with different coatings: chocolate, chili, stroopwafel or even gin tonic flavor! Van Delft is the largest factory of pepernoten worldwide and introduces new flavors every year. A Dutch peppernut cookie with the right topping might win some people’s heart, not mine! Why would a tiny spiced cookie be enough if you can get its supersized sibling: speculaas? 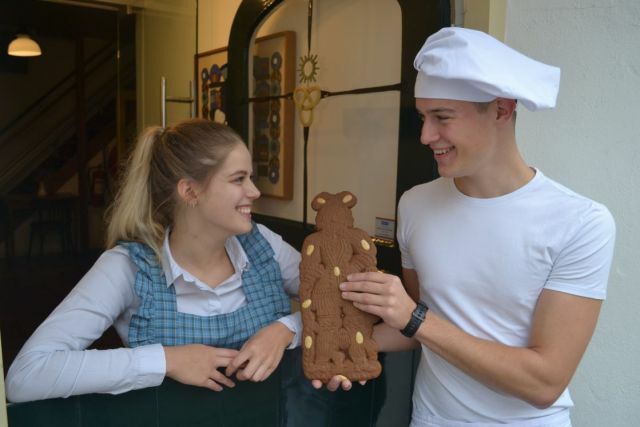 The best way to spice up your love life in holiday season, Sinterklaas, is with speculaas. Back in the 17th century speculaas was expensive. The main spices for the typical Dutch cookie: cinnamon, nutmeg, clove, kardemom, pepper, coriander, ginger and anisseed had to come all the way from Asia. Speculaas was a cookie eaten only during special moments: the festive December month was the perfect occasion. The Sinterklaas celebrations were thé opportunity for a guy to show his love for a girl. Our young lover would go to the baker and ask him to make a speculaasvrijer. Vrijer means suitor and comes from the Germanic god of love: Freyer. He is the character represented on the speculaas cookie itself. We now call it speculaaspop. The guy would give the girl this gingerbreadman. She would invite him for dinner. During dinner she would give back the speculaasvrijer / gingerbreadman . Had she eaten the head, then he could date her. Had she eaten the feet, then he had better to find another sweetheart. Baking your own speculaaspop makes it even more special. Invite a group of friends, family or colleagues for a fun outing and go for a pepernoten baking workshop and other festive treats for Sinterklaas and find out the surprising stories behind the celebration and its sweets. Contact me to find out more about this group activity in Holland.